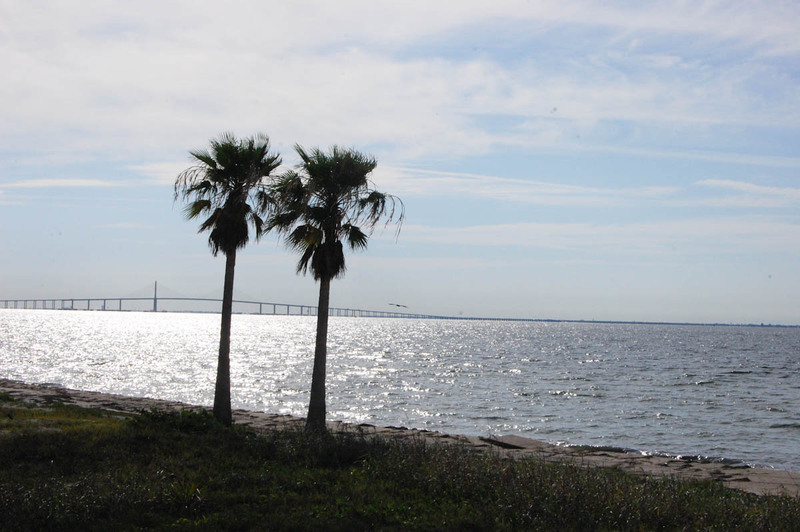 Way down at the mouth of Tampa Bay sits Fort De Soto Park. 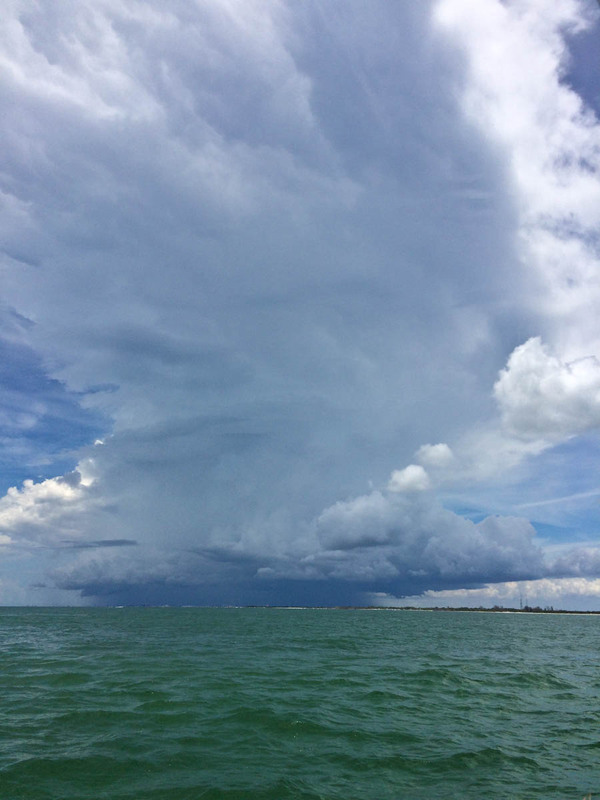 Within that park is access to Egmont Key, a state park. 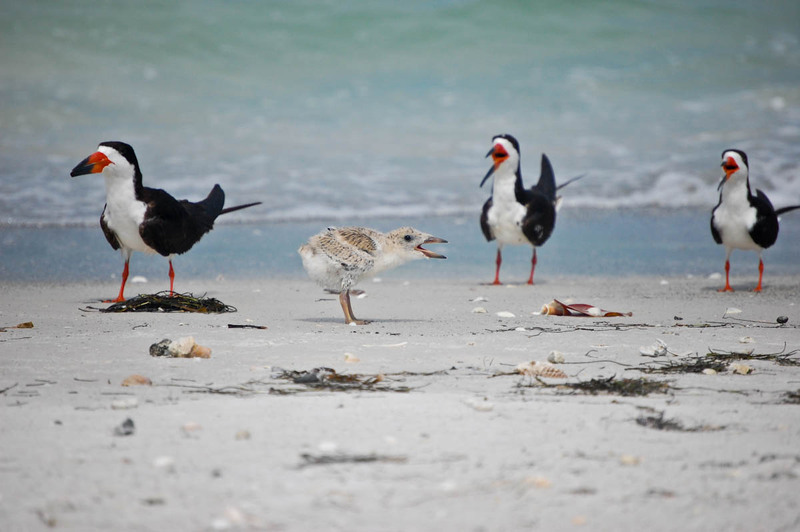 Fort De Soto is a large county park offering beaches, camping, a dog beach, a historic fort, trails, and multiples of habitats for Florida’s flora and fauna. It has been named a #1 beach by places that rank such things. 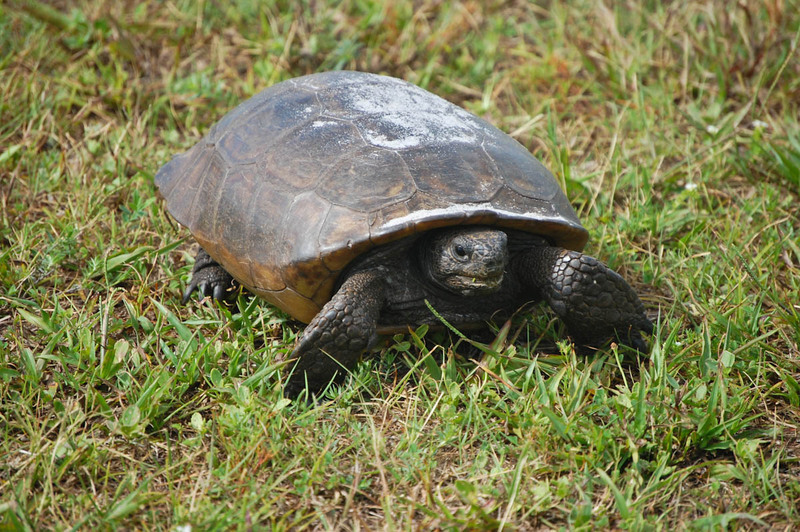 It is also a nesting spot for many kinds of turtles and birds. I’ve now visited twice, once in winter and once in summer, and it is a truly lovely spot. The entrance fee is nominal. 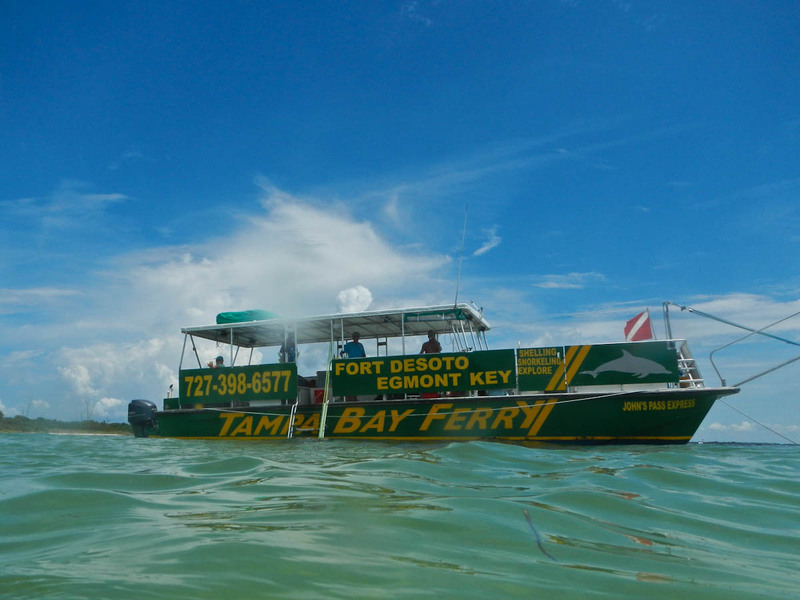 At the Fort De Soto Bay Pier you’ll find a concession stand, bathrooms with showers, a postcard-worthy beach, and the ferry to Egmont Key. 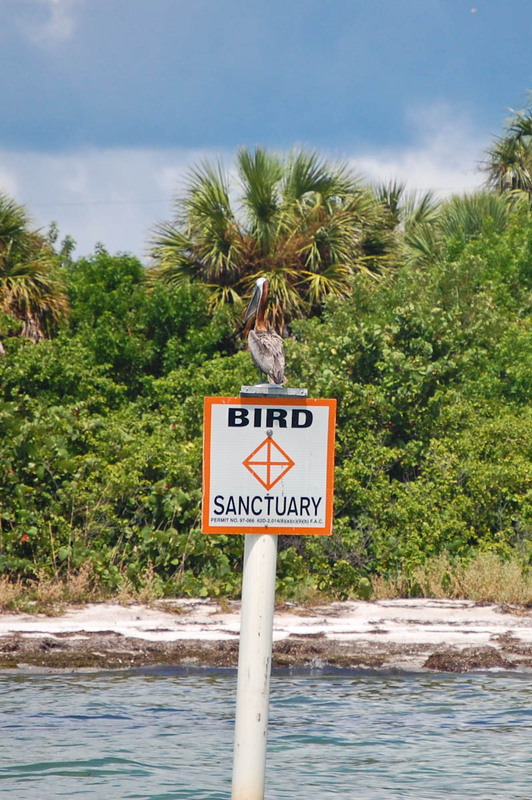 Only accessible by boat, Egmont Key is a wildlife refuge and bird sanctuary. 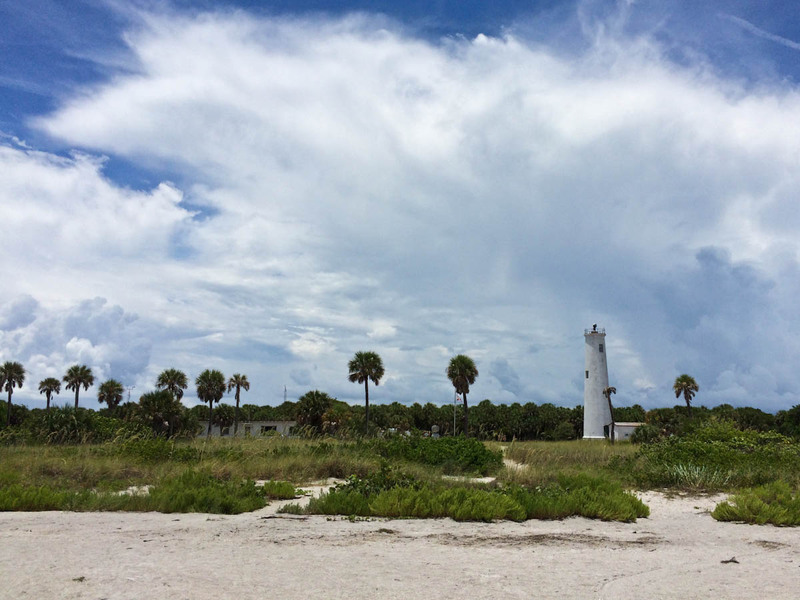 The lighthouse there has stood since 1858 and Fort Dade was founded on the island in 1923. Now mostly ruins, the island is cordoned off for nesting birds and sea turtles, but there are swimming beaches and trails. I visited Fort Jefferson in the Dry Tortugas two weeks prior and Egmont Key reminded me of Fort Jefferson, but the trip cost about 90% less and the ferry ride over to the Egmont Key took 20-30 minutes instead of 2 1/2 hours. After the excitement of the car accident the night before, Garnet and I were looking forward to a peaceful day of swimming and adventuring. We took the first ferry over and while onboard, he met Jackson, a boy his age who was visiting with his grandparents. 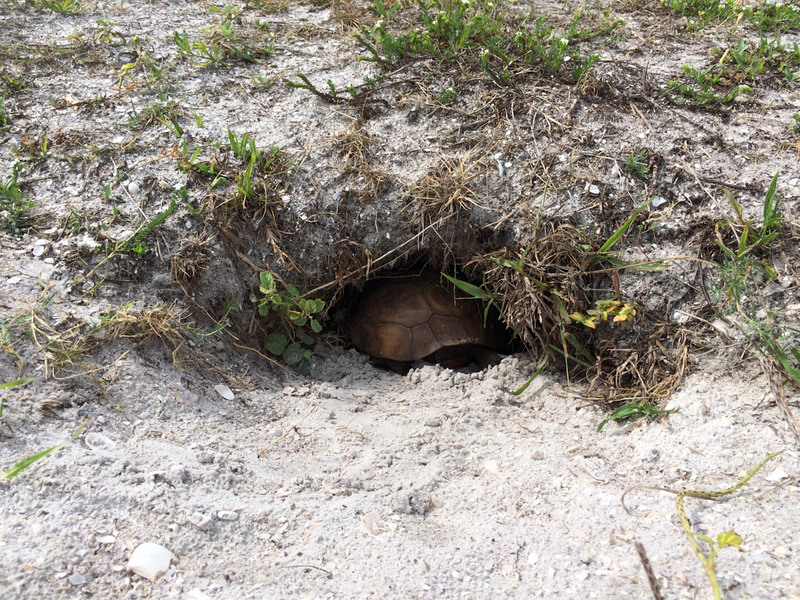 We exited the ferry and within three about minutes we excitedly found a gopher tortoise near the lighthouse. 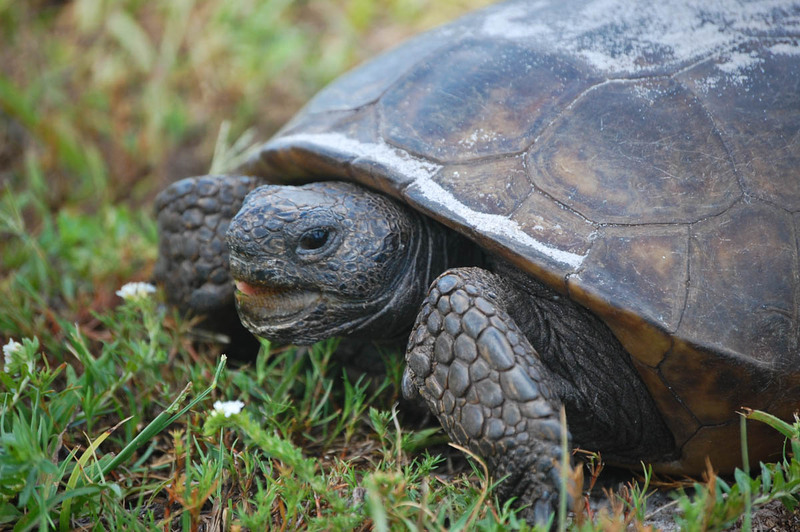 There is a large population of the tortoises on the island. 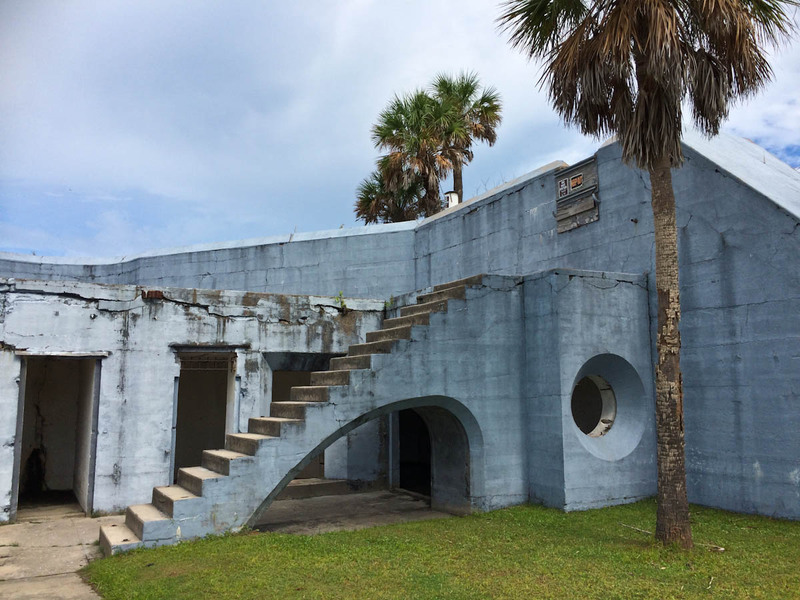 The ruins of the old gun batteries were fun to explore. We walked out to the beach on the west side of the island. 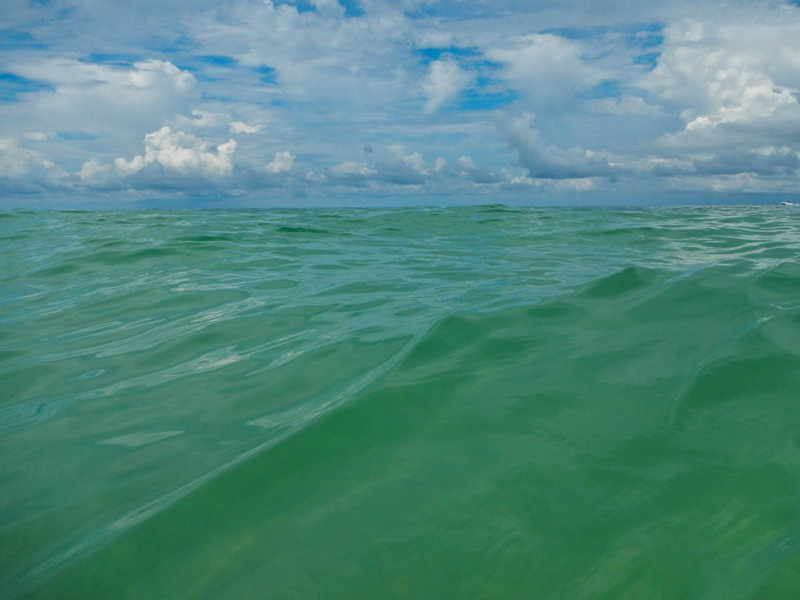 The water was ideal and boaters had anchored near shore. 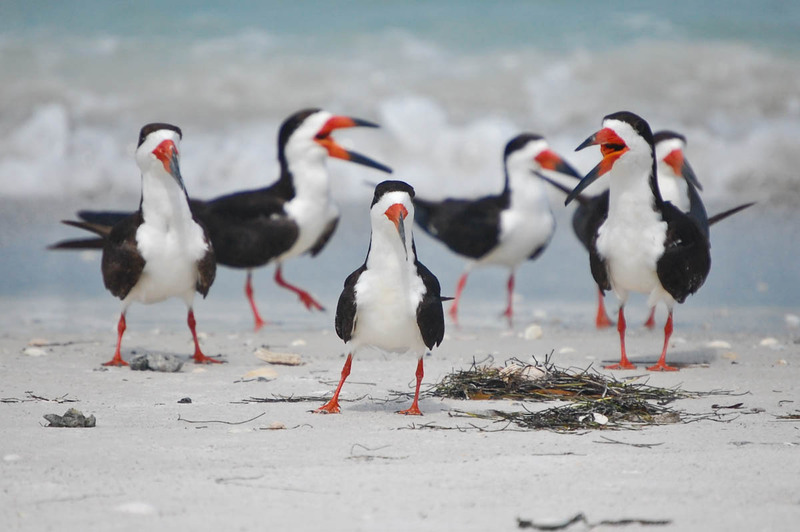 With the boys safely splashing around, I went exploring and blundered into a nesting area for skimmers. The birds told me I was intruding even before I spotted the signs. The chicks were running around being absurdly adorable. The ferry offers an optional snorkel tour and Garnet, Jackson, and I went off to do that for a bit. 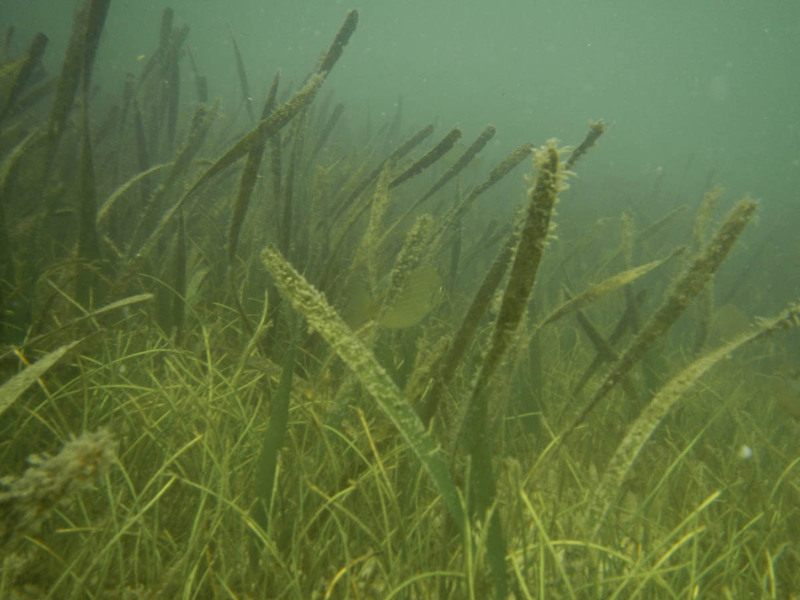 They took us to an area of sea grasses, but the water was a bit murky in the shallows. It was fun watching the boys claiming to see fish and rays that weren’t really there. Once you are on the island, you are free to stay and take whichever afternoon ferry works for you and the boats sell snacks and water. Pay heed to the warnings about dehydration, especially in summer. 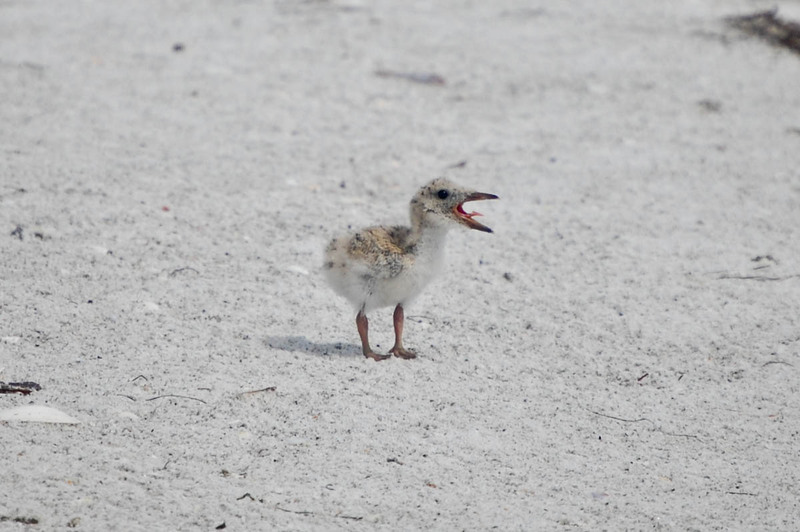 Overall, Egmont Key and Fort De Soto Park are well worth exploring. Having been twice, I feel like I have another 5-6 visits ahead of me to get a true feel for the place and intend to return.